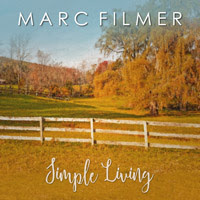 I’m Marc Filmer and I'm a composer of instrumental music that often fits into the Classical/New Age genre. I've scored and licensed music in projects all over the world, with clients big and small and I'm available for your next project at an affordable rate, for a modern or traditional sound. If you need a composer to encapsulate your idea in musical form, then I'm your guy. Feature Film, Theatre, Documentary, TV Underscore/Commercial, Book Trailer, Video Game/App, Audiobook, Radio/Podcast, Online/Corporate Video and Product Embedded. NBC TV Network, Saatchi & Saatchi, Delta Airlines, Volvo, Miracle-Ear Inc, Neutrogena, Ariel, Domestos, Arclight Productions, The Ritz Hotel, The Orient Express & Gables Grove Productions.